McALLEN — A Cold War era rifle could land a convicted felon in federal prison for up to 10 years. 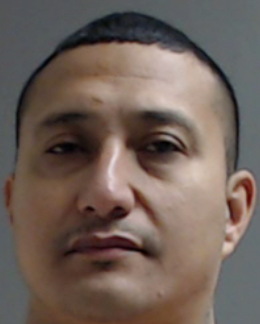 Ismael “Smiley” Tovar-Zavala, an Edinburg man with prior felony convictions, is scheduled for sentencing in federal court Wednesday after he was found in possession of a firearm more than a year ago. Tovar-Zavala faces federal prison time in connection with his arrest for being a convicted felon in possession of a firearm after he was arrested by Hidalgo County sheriff’s deputies April 21, according to the criminal complaint filed against him. After deputies seized Tovar-Zavala’s vehicle for failure to provide a driver’s license and registration, an inventory of the contents of his vehicle turned up a Yugoslavian model rifle — a firearm he claimed ownership of the following day during an interview with authorities, the complaint states. “…Investigators conducted a post-Miranda interview with (Tovar-Zavala) who claimed to have obtained the firearm for protection,” the complaint states. Tovar-Zavala has a criminal history dating back more than 20 years, and has been arrested in connection with evading arrest, aggravated assault with a deadly weapon, robbery, burglary of a habitation, assault that causes bodily injury, possession of marijuana, manufacture and delivery of a controlled substance, and theft of property to name a few. It is not known which local gang Tovar-Zavala is affiliated with but he was arrested Aug. 1, 2014 during a raid in McAllen. Tovar-Zavala was among five people, including three Texas Chicano Brotherhood gang members who were arrested by San Juan police with the help of McAllen police and the U.S. Marshals Service. In addition to the plea agreement, Tovar-Zavala will be obligated to forfeit all firearms, weapons and ammunition seized in connection with the case, including the Yugoslavia Model 59/66, 7.62x39mm caliber rifle, and approximately 12 rounds of ammunition, the record shows. Tovar-Zavala is due in federal court Wednesday where he could face up to 10 years in federal prison and up to a $250,000 fine.